Here is the exact step by step process we followed to achieve these results for our clients. And I believe this process will generate similar or even better results for any business in any industry. Step 1 – Make sure all value propositions are highlighted clearly on the website. Why a customer should buy your product instead of buying from your competitors ? Its important to to clearly highlight the values of your offer. For example if you are offering free shipping or you are offering a 14 days easy return if customer is not happy with the purchase or express shipping or lowest price. Whatever you offer that gives a great value to your customer should be clearly visible. Placing this type of information on top of the web page helps a lot. Step 2 – Capitalise on positive feedback from your satisfied customer. Positive Feedback left by a customer can play a real important role to win trust of possible new buyers of your products. Make sure you include a provision to leave a feedback on the store by the real users of your product from the very beginning. If possible allow your customer to upload their photo while using your product in the real world. We used Yotpo to encourage customers on our clients website to leave a feedback. It does great job in sending an automated email to every buyers once the order is delivered to them. This email also includes an embedded form to write reviews. That makes the process of writing reviews faster. You can use Yotpo in many different ways and various great features are available in premium plans. 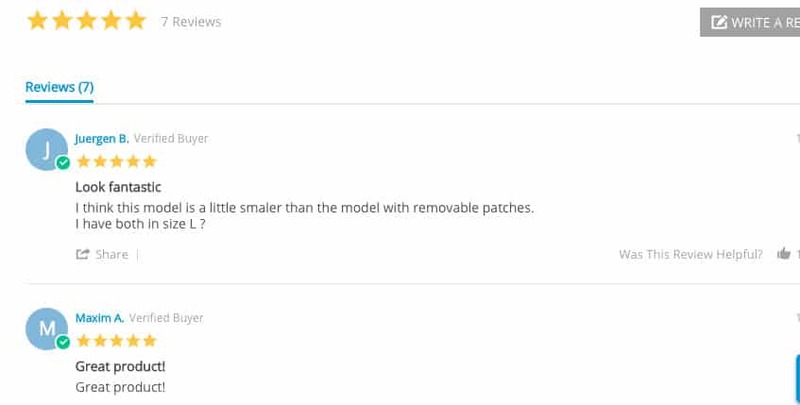 So its never late, start generating reviews on your products if your are not already doing this. Step 3 – Set retargeting options even before driving visitors to website. Why Is that required ? Because lots of analytical study shows that in eCommerce a customer requires around 5 touch points before making a purchase. So don’t get embraced when you google analytics shows customers are coming but you are not getting desired sale. Instead start exploring all your possible options to reach out to these customers again with a new exciting offer. 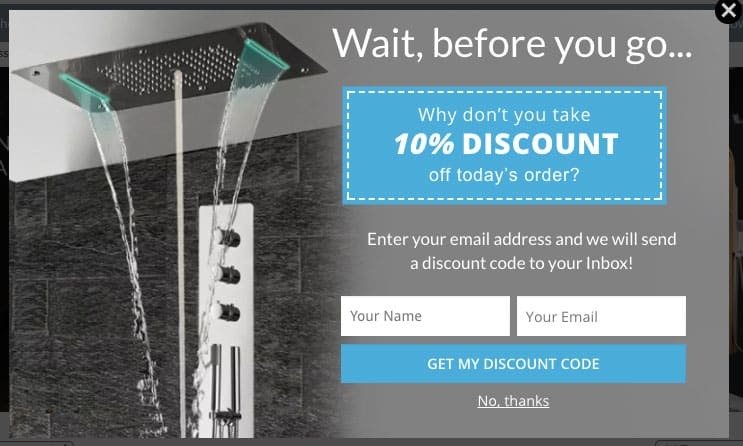 Welcome Popup – showing to visitors after a certain interval once they arrive on the website and offer them a discount code once they signup. Exit Popup – This type of optins shows when customers are about to leave your store. In worst case these optins converted at a rate of 2.5% for us. In some cases the conversion rate was above 10%. Which means your email list is growing at a rate of 10% of your store visitors. And this email list can be a most cost effective and result oriented way to product great sale. Even if your are not using Facebook ads now, You should install the pixel with all relevant conversion events from the very first day of going live with your online store. Doing this can be fairly easy or complex depending on the type of technology you use. Because Facebook allows you to retarget all those visitors with specific ads for example an ad targeting visitors who viewed x product but din’t purchased that. Possibilities are endless once you start recording pixel events. So the above three steps are the foundation of whatever you do in your marketing campaign down the line. So to summaries the process, we need to clearly highlight our USP’s, capitalise on customer feedbacks or build up options if you are just starting out, and the most important one – always be in a position to re-targeted a big percentage of your website visitors be it with email or Facebook ads. Yes absolutely, Automated email flow can be your greatest money making machine if you are able to do it right and you are using the right tools. Welcome Flow – A series of 5 emails that introduce about the brand to new subscribers in the list or a new registration on the store. Email #1 – Sent out immediately as soon as they signup. In this email we include a welcome discount for the customer. Email #2 – Sent out after 24 hours to the Emails #1. This email includes introductions to top departments/categories on the store. Email #3 – Sent out after 24 hours to the Email #2. This email includes top selling products from the store. Email #4 – Sent out after 24 hours to the Email #3. This email invites customers to connect with the brand on all available social channels. Email #5 – Sent out after 24 hours to the Email #4. 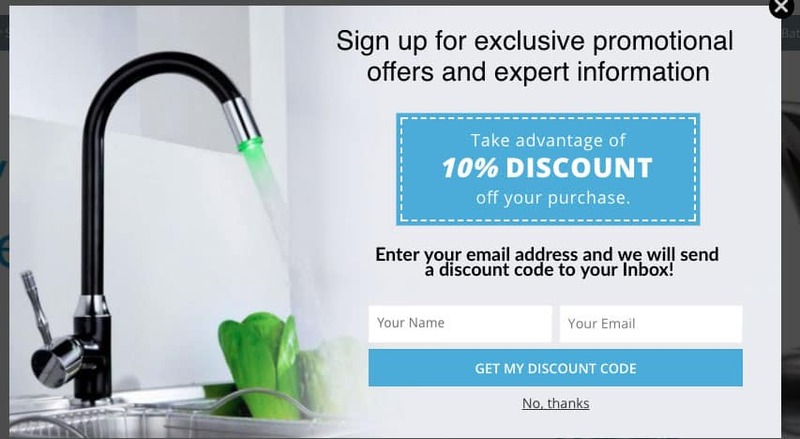 This email is used to convey that the discount code is expiring soon and you should use it. Abandon Cart – A series of 3 emails that reminds the customer of their abandon cart. Email #1 – Sent out 2 hours later from the time they left the cart. Email #2 – Sent out 24 hours later from the time they left the cart. This email offers a discount code if they make a purchase in next 24 hours. Email #3 – Final reminder that their abandon cart special discount is about to expire. Browse Abandonment – A series of 3 emails sent out to customer or subscriber who visited a page but dint purchased. Email #1 – Sent out 2 hours later from the time they left the website or product page. Customer Winback – A series of 3 emails sent out to customer who ordered before a certain number of days and din’t returned on the store. This series of email is to bring back those customers on the store. Email #1 – Sent out to customer after 60 days of their last purchase. This email includes latest arrival products on the store. Email #2 – Sent out to customer after 120 days of their last purchase. This email includes latest arrival products on the store and a special discount to bring them back to store. New Customer Thank you – A special thank you message sent out to customer when they order first time. Its important to share the tool we use to create and manage this automated system that requires you to setup once and can work as a money making machine for your store. We use an email marketing tool specifically built for eCommerce store. Its called Klaviyo. Possibilities are endless with this email marketing tool. You can do whatever marketing ideas our innovative mind can generate. We are working on some more ideas of flows for sending cross sale and up-sell products to customers who ordered products from the store. Apart from automated flow, Klaviyo is equally great when it comes to your email marketing campaigns. Checkout my in-depth guide on eCommerce email marketing automation for more details on this money making machine for an eCommerce website. Facebook Dynamic Ads are ads served to customers who viewed or added a product to cart but din’t completed a purchase. These ads really worked as Money Making machine #2 for all our customers. For dynamic ads to work perfectly, the first important thing required is correctly setting up Facebook pixel on the website that can capture all the events correctly. Next important thing we do is keeping a close eye on the entire system and continuously keep improving on it. We use Google Analytics, Heap Analytics and Hotjar to gather data and improve on things. Important thing to note here is, we haven’t spent money to drive new traffic on the website on the website. We have focused on the current traffic and customer list we have and worked on to get maximum out of that. However its important that you have interested customer coming on the store. This system is working for us for all of our clients and based on our experience we can say that it can work for any one out there. For even new store with no note-able traffic, this system is our first step to setup and than we start driving interested customer to store using Facebook Ads, Google Ads and Search engines. With our set process of successful eCommerce website development we have helped clients all over the world. Our eCommerce Email Marketing Automation Strategy has produced ongoing sales for many eCommerce store. Schedule a free consultation or request a free quote today to take advantage of our expertise and experience.